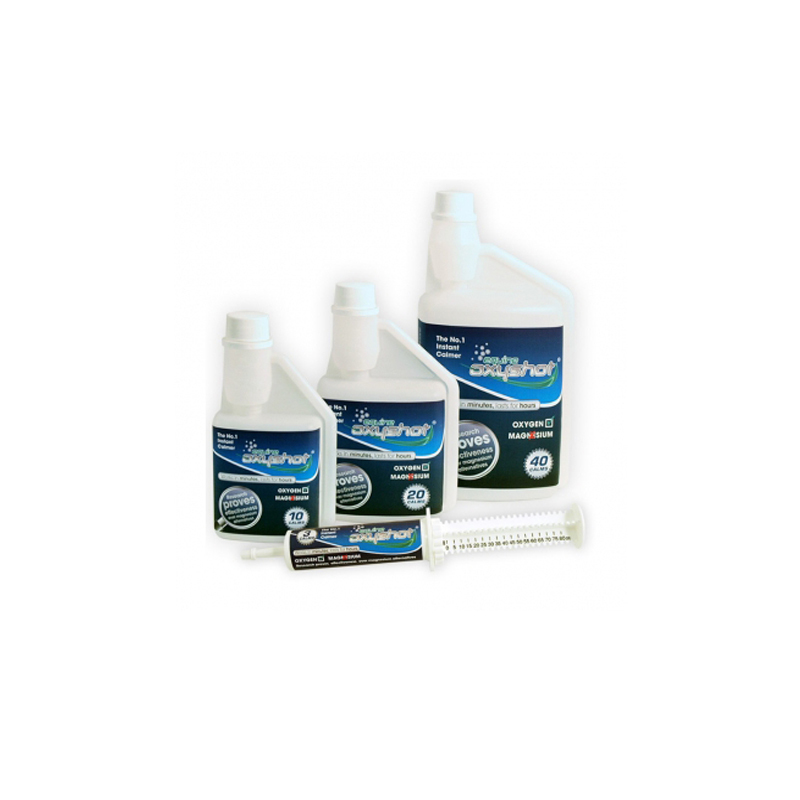 Equine Oxyshot by animalife is a quick acting solution that has been scientifically created using a revolutionary oxygen technology called CS02. Oxyshot contains no banned substances and is ideal for horses prone to excitement, tension, spookiness and unwanted behaviour during stressful situations such as competitions and transportation. Horses and ponies feed 25ml syringe for normal activity or 50ml syringes for intense activity up to 30 mins before activity (1/2 amount for small ponies.) OxyShot is more effective the less hard feed present in the horse’s stomach. Following administration restrict your horse’s feed and water for a minimum of 30 minutes to allow absorption. Can be used every 2-3 hours. For animal use only. Serve dependent on the individual animal but as a guide. Store in a cool dry place out of direct sunlight. Replace lid after use. This product is not a Veterinary medicine which is subject to authorisation.